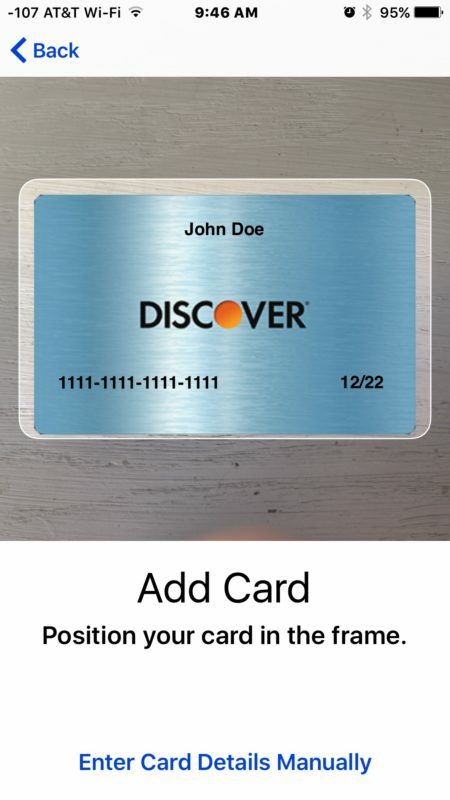 Most iPhone users setup Apple Pay once with a single card, but you can add multiple credit cards and debit cards to the iPhone for use with Apple Pay if desired. This is nice if you want both a credit and debit card on the iPhone, or if you have multiple rewards cards you use for various purchases at different stores. It’s also nice just to have a backup card on Apple Pay, in the odd event the first one fails for some reason or another. 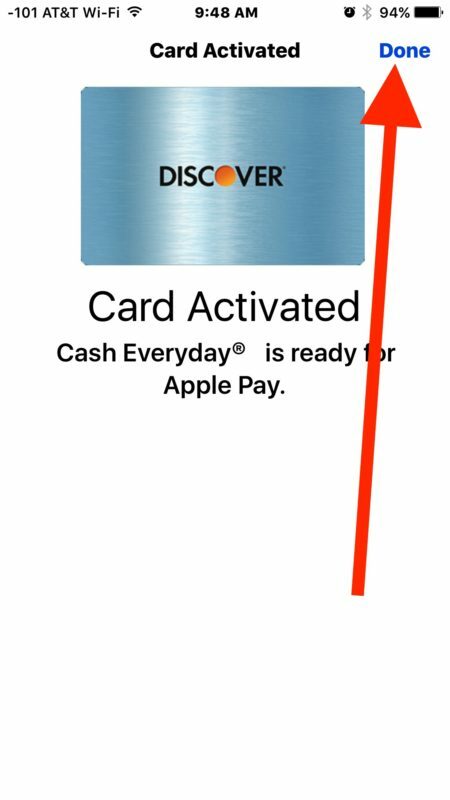 Adding new cards to Apple Pay is really easy on iPhone, this tutorial will walk through the process. You can add cards manually, or, as we’ll emphasize here, by using the iPhones camera to expedite the process. You will need an iPhone that supports Apple Pay (all modern iPhones do), and a credit card or debit card that is compatible with Apple Pay. Be sure you have the card handy, because you will be referencing the physical card during the card adding process. 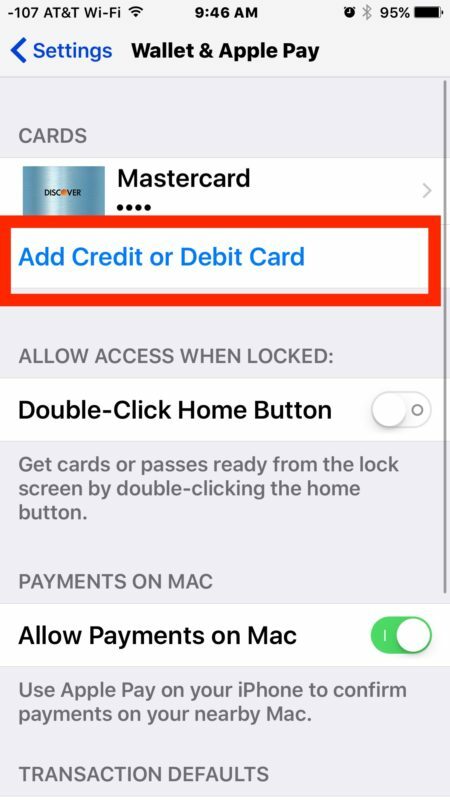 You can add multiple credit cards or debit cards this way to use with Apple Pay on your iPhone. 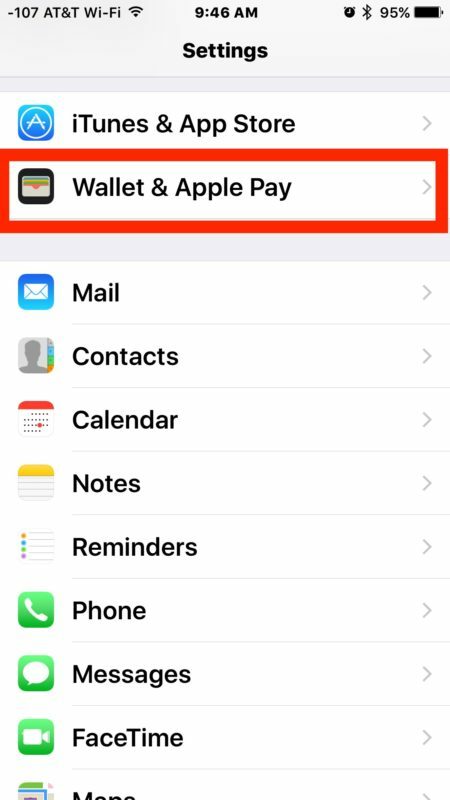 If you use multiple cards, you will probably want to set the default card for Apple Pay to whichever you prefer to use as the primary card. And of course if you have an Apple Watch, you’ll want to setup Apple Pay on Apple Watch too, which currently also requires using the Apple Watch app on the paired iPhone. You can add many credit cards or debit cards to Apple Pay, there may be a limit but I have not reached it with several. 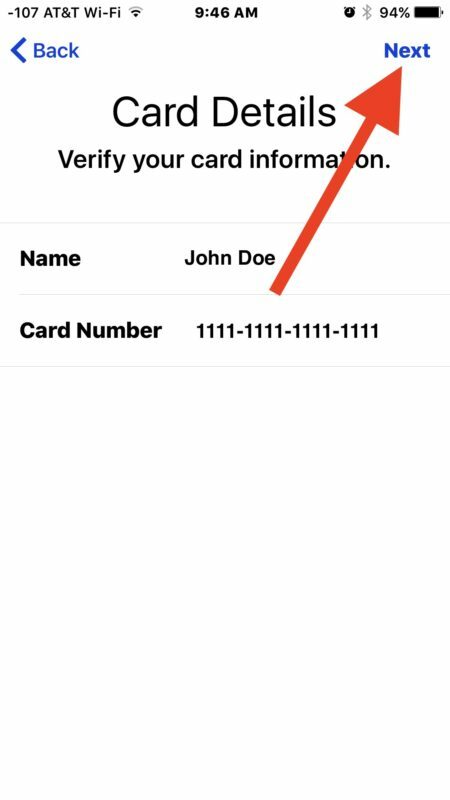 Of course you can also delete cards from Apple Pay on iPhone too if you no longer use a particular card, or if one expired. 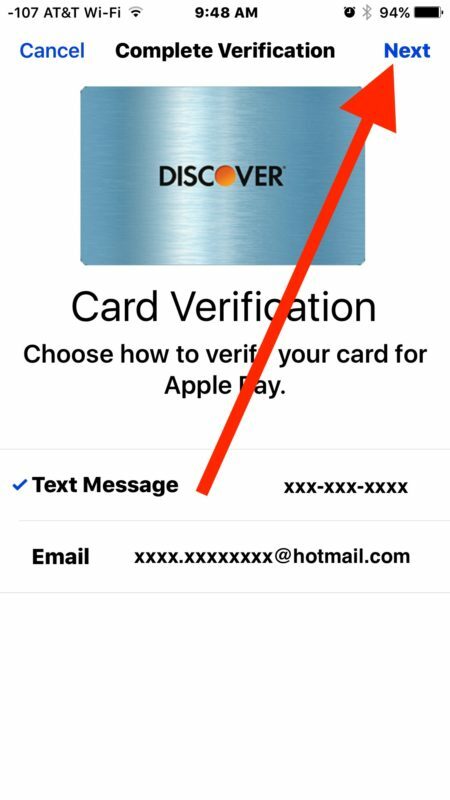 Apple Pay is undeniably convenient, whether you’re shopping online, or at Apple Pay participating stores, which you can check directly from an iPhone with this trick. 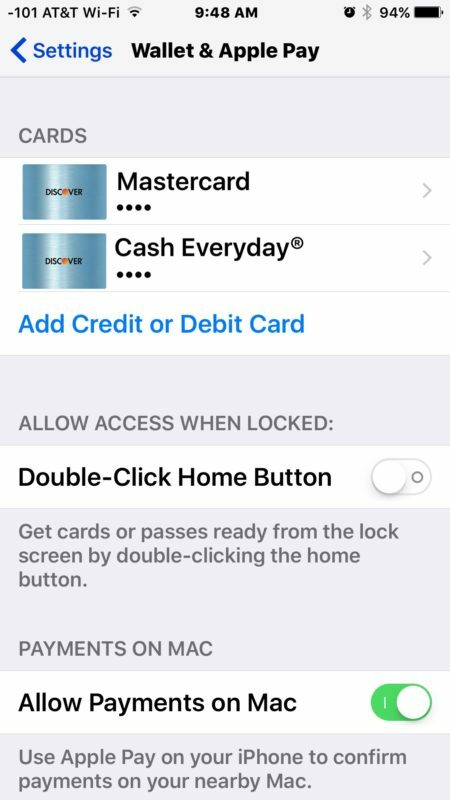 Don’t forget you can access the feature from the locked iPhone screen with the Apple Pay home button shortcut, that can also help speed up the process of checking out with the feature a bit, otherwise you will need to refer to the Wallet app on the iPhone. And if you’ve read this far but haven’t bothered to setup Apple Pay on iPhone yet, perhaps you should do so, it’s certainly useful to have the feature. Even if you don’t use it primarily for purchases, but having it as a backup option when you’re on the go is very nice as it can possibly prevent the frustrating scenario when you forget a wallet or purse at home but don’t realize it until you’re in the check out stand…. 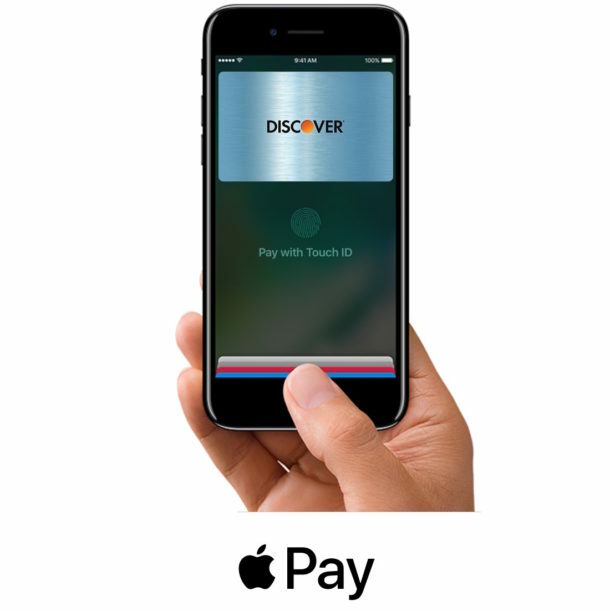 well rather than abandoning the shopping trip, you may be able to use Apple Pay to complete the purchase instead. I knew this was possible from the first day I had an apple pay capable device. Alternatively, it is also possible to add new cards on iphone right from the wallet app itself just by tapping on the + sign on the top right. I would recommend adding at least two cards to Apple Pay, maybe even three. Even just for backup purposes and for different uses. I have two in mine, thinking about adding a third. I like credit cards because you can dispute charges and they are better for fraud, debit card is asking for trouble with bad charges if you ask my opinion, Apple Pay or not. Yeah credit is better because it’s the bank’s money being stolen if there is a fraudulent charge, so they are more willing to help when a customer disputes a charge. With a debit card it’s the customers’ money being stolen, so the bank won’t care as much. And best of all, once set up Apple Pay works anywhere contactless payment is accepted. This includes businesses in countries where it has not been oficially introduced. I have successfully used it in Mexico many times, for example. Since the 11.0 update, my Apple Pay no longer works. I tried deleting the card and then adding it back in but the card information was already defaulted and I was unable to completely erase it. This is just one more thing that the 11.0 update and its successor revisions have ruined on my phone. maybe it is a problem with your device and not the update itself. I have also installed all four ios 11 updates released so far (final versions only, no betas) and my apple pay works just fine both on the iphone and on apple watch (after updating that one to watchOS 4). Not my device because my brother, Apple aficionado from Day One (and a software engineer) has same issues. Voice dictation is still horrible. Text entry worse as replacement words no longer bear no resemblance to entered words, in letters or meaning (bizarre). Sending pics direct in text results in the TEXT portion being superimposed over all text messages like a floating balloon (also bizarre) & requires restart to rid. 6s. I loved my phone before this. So glad my iPad 4 was not eligible for this update. That’s weird. I have a 6s too but have never had any of those issues. As for the ipad, you do miss on a number of nice improvements there such as the new dock, files app and the ability to just flick keys for alternate characters (as opposed to switching keyboards on ios 10 and earlier). How does one enable the ability to allow payments from a Mac? I’d love to be able to use this on my Mac but have no idea as to how to set it up.